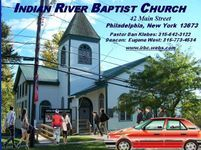 The ministries of Indian River Baptist Church are driven by a desire to give everyone solid biblical direction for life. The Scriptures give us our direction. It is the Word of God that brings the clarity and direction we need when we find ourselves at difficult crossroads. Christian Ministry is service to God and man as an obedient Christian. A Christian servant ministers to God and man in acts of love. Since God so loved us, we also ought to love one another (1 John 4:11). We pray that you will find the direction to grow and serve along this wonderful journey we walk by faith. At IRBC, WMU’s focus is to make the biblical message of missions come alive for all ages through praying, teaching and learning, putting feet to our faith, witnessing, giving and growing spiritually, and allowing our church members to participate personally in missions, as well as, develop a missions lifestyle. The WMU meets every 3rd Friday of the month. Get Involved - Contact Sandy for details. Samaritan's Purse is a nondenominational evangelical Christian organization providing spiritual and physical aid to hurting people around the world.The story of the Good Samaritan (Luke 10:30-37) gives a clear picture of God's desire for us to help those in desperate need wherever we find them. After describing how the Samaritan rescued a hurting man whom others had passed by, Jesus told His hearers, "Go and do likewise." Prayer is a living relationship with God--a relationship moving and growing with the rhythms of life. Prayer unites us with God, whose power can accomplish more than we can hope for or imagine. Do you have a prayer request or concern? Vacation Bible School (VBS) is a specialized form of religious education which focuses on children. VBS events are held in the months of June/July. Lengths of the programs may vary. A themed curriculum program is published prior to event dates. Programs are packed full of high energy programs of religious education which employ Bible stories, religious song, arts and crafts, skits, or puppet shows which cater toward elementary school-aged children. VBS programs are provided at no cost to those attending. Each night will begin in the Worship Center where extraordinary things can happen. During this time you will have opportunities to develop friendships with kids, show them Jesus’ love and you will have fun and maybe learn a thing or two yourself! We want to encourage families to attend worship services and bring their children. That's why it is important to give our children an opportunity to worship also. Our Junior Church program takes place part way through the worship service on Sunday mornings. The children and their leaders leave the Sanctuary and go upstairs to the classrooms. What awaits them is a worshipful, age-appropriate experience where they can express their praise to God. Where is God on Sunday morning? Of course, God is everywhere. We know that God is enthroned in the praises of his people. (Psalm 22:3) When we gather to worship – God is with us. We know that God is there when we pray. Jesus said, “For where two or three re gathered in my name, there am I among them.” (Matthew 18:20) When we pray – God is with us. We know that God is there when his Word is read, preached, loved and obeyed. The Lord says, “I am watching over my word to perform it.” (Jeremiah 1:12) When the Bible speaks – God is with us. We know that God is everywhere. “Can a man hide himself in secret places so that I cannot see him? declares the LORD. Do I not fill heaven and earth? declares the LORD.” (Jeremiah 23:24) “The eyes of the LORD are in every place, keeping watch on the evil and the good.” (Proverbs 15:3) No matter where we go – God is with us. But did you know that God is also in the church nursery? “And Jesus took a child and put him in the midst of them, and taking him in his arms, he said to them, “Whoever receives one such child in my name receives me, and whoever receives me, receives not me but him who sent me.” (Mark 9:36-37) When you welcome a child in the name of Jesus you welcome Jesus himself. When we minister to children – God is with us. If you wonder why so many people are blessed by serving in the church nursery. IRBC offers Sunday School classes for all - - young, single, married, or in various other stages of life. Our program is designed to help you live a more meaningful and fulfilling Christian life. Classes meet every Sunday morning at 9:30am in the Fellowship Hall. There is no need to call ahead or sign up for anything -- just drop in. Well, we've heard about some great stuff going on in our church. 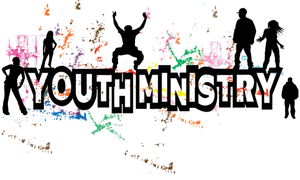 Youth between ages of 12 & 18 join us every Sunday evening for awesome ideas for challenging your faith, reaching out to your community, and just having a good time with your Christian friends. Fellowship with other men and service to others is part of Christian growth and we encourage all men in the church to jump in and be a part. The Men's Brotherhood Ministry is a great opportunity to connect with and get to know other men within our church body. For further information, contact Eugene West in the church office at 315-642-3122 or use the CONTACT US page on this website by clicking the link.